I am writing this, having just returned from the fourth course at the New Austrian School of Economics, in Munich. 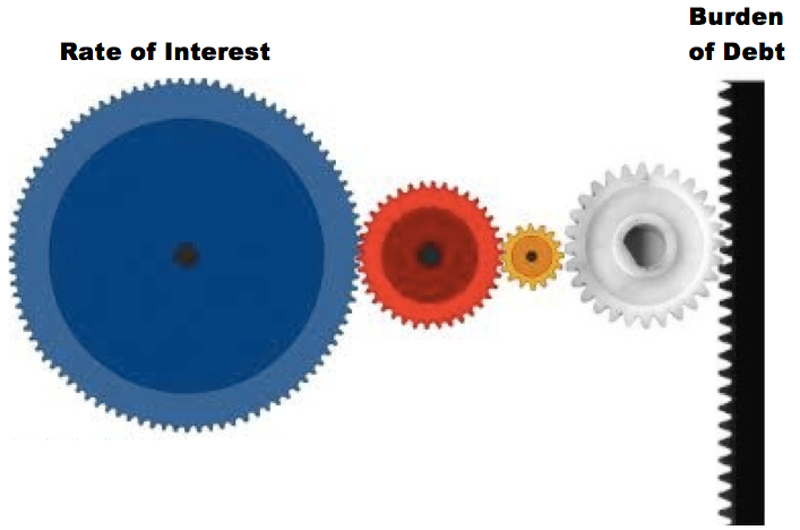 The single biggest theme was the rate of interest and its linkage to prices. Kondratieff, among several others, have observed that rising prices lead to rising interest rates and vice versa. And the opposite case is also true, falling interest rates go with falling prices (all else being equal). I plan to write a separate paper on this topic. If the payment is $1000 per year, and the interest rate is 10%, then the payment at the end of the first year is worth 1000 / 1.1 = $909 today. The payment at the end of the 30th year is worth $57.31 today (1000 / 1.1^30). But as the rate of interest falls, the present value of all future payments rises. If the rate of interest fell to zero, then the present value of each future payment would be the nominal value of the payment (1000/1^30 = 1000). The 30th year payment would be worth $1000 today. Unlike under a gold standard, in paper money the rate of interest is subject to massive volatility. Sometimes, the government has its way, fueling rising prices and interest rates. Other times bond speculators front-run the central bank’s unlimited appetite for purchasing government bonds and the rate of interest falls. We are now in year 31 (so far) of this latter phase. As the total accumulated debt increases (feature #450 of irredeemable money is that total debt cannot go down), the effect of a change in the rate of interest becomes larger and larger. Today, even very small fluctuations have a disproportionate impact on the burden of debt incurred at every level, from consumer to business to corporate to government at every level. To say that this is destructive is a great understatement. This, rather than the quantity of money, is what people and especially economists should be focused on. This entry was posted in Uncategorized on April 13, 2012 by Keith Weiner.